There are 9 posts filed in Development log (this is page 1 of 2). Here’s the first video dev update for Lasting Legacy. We go over the basic gameplay. It’s a whopping 19 minutes long, so I may have overdone it a bit! I’ll try to keep it shorter for future updates. Since this is the first time we’re doing this, any feedback is appreciated. Would you like to see more of these in the future? What should the focus be? Any technical issues I should improve? What Kind of Game is Lasting Legacy? You’ve read the Lasting Legacy announcement, seen some of the art, got an idea about the setting for the game, and you even know about the feelings we want players to experience. But what kind of game is Lasting Legacy exactly? Lasting Legacy is a fairly unique game, so it doesn’t quite fit in any predetermined genre. The closest category would be single-player, turn-based simulation, although the simulation part in Lasting Legacy is very light (unlike something like Sim City or The Sims), and in that respect it’s more like a board game. 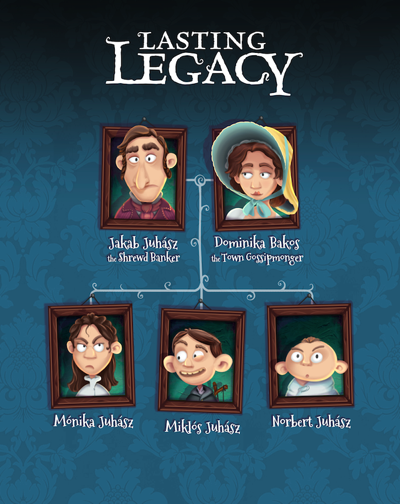 So it’s more accurate to say that Lasting Legacy is a blend of simulation games and board games.